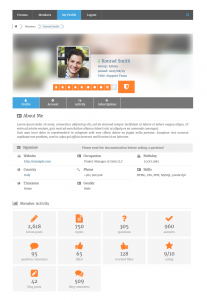 Turn on an Advanced User Profile System on your website and forum. 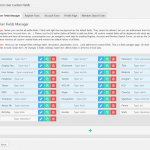 This addon is designed to extend forum profile system. In most cases you will not need other Profile Builder plugins. 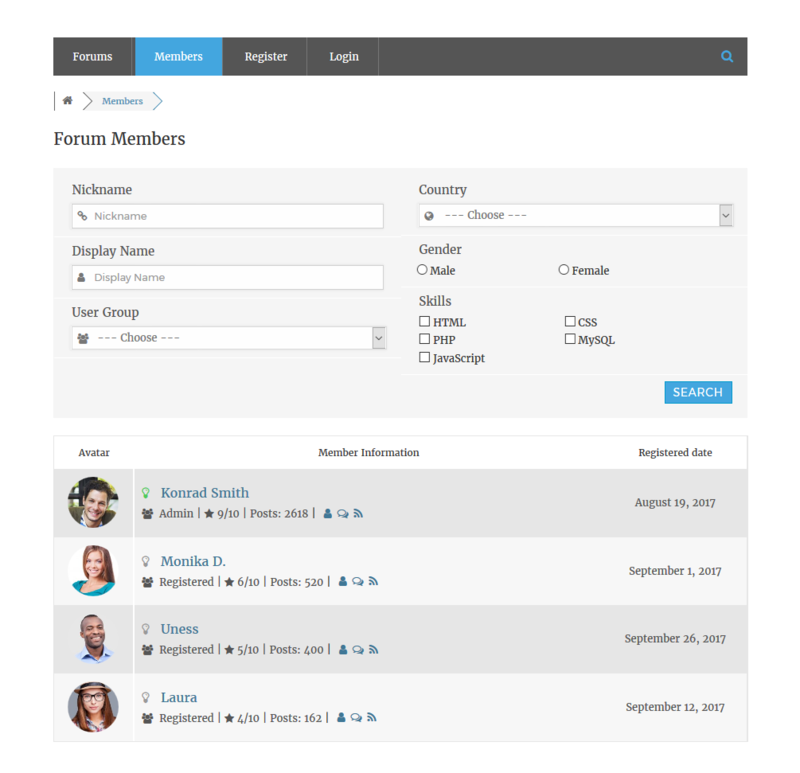 wpForo User Custom Fields addon has all necessary functions and features for creating powerful online community and membership site. 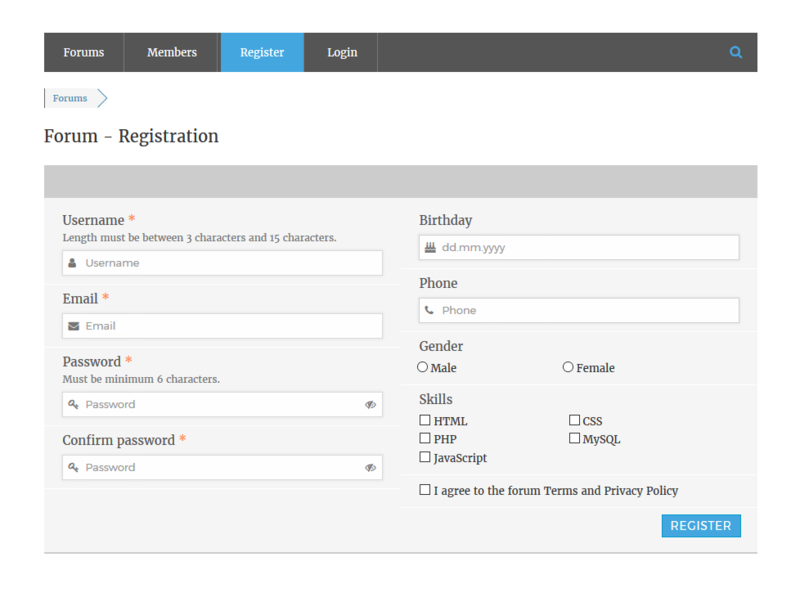 You can create custom Registration form with custom fields, add custom fields in User Profile system and in Members Search form. 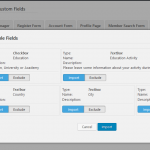 All forms and areas can be easily created by form builder tool, you can set rows and columns. 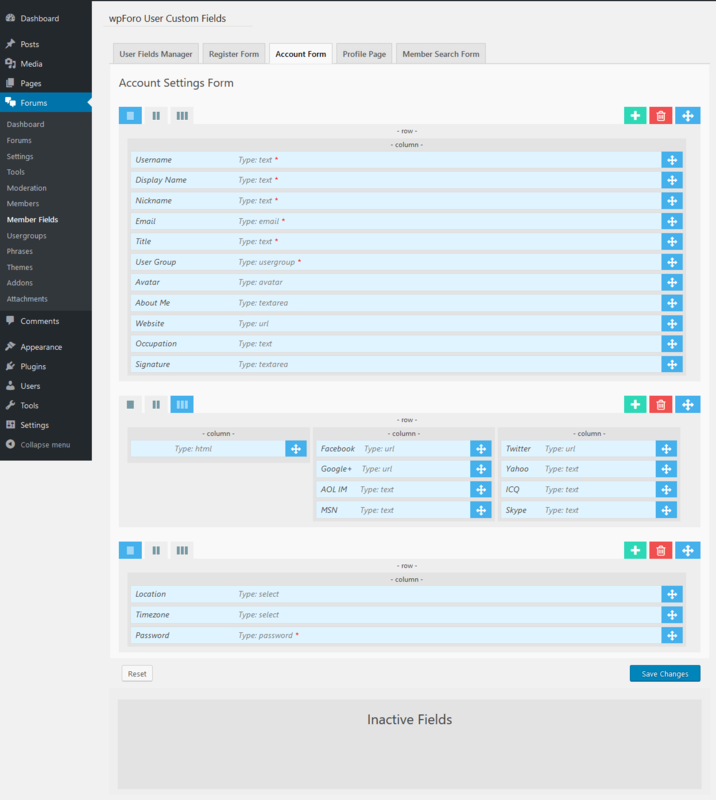 Once the layout is ready you can fill form columns with custom fields. 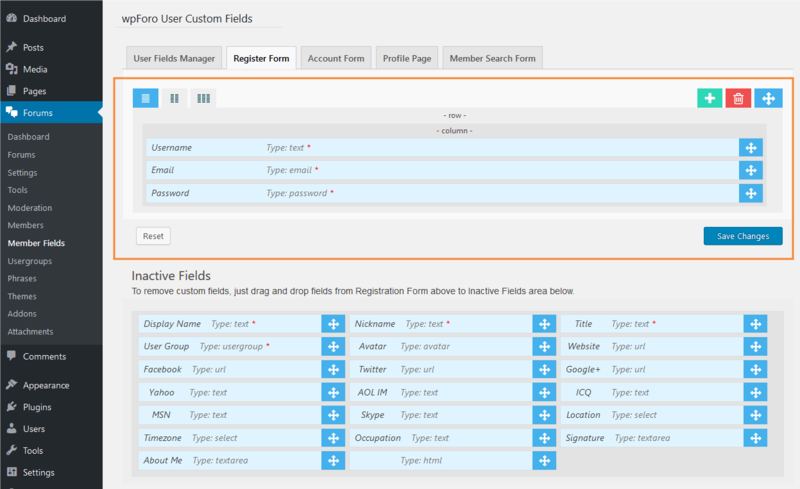 Each custom field can be displayed/hidden based on current user usergroup permissions. More info in documentation. 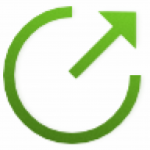 Please note: this is an add-on for wpForo plugin. This addon requires at least wpForo 1.5.4 version. Please do not install this addon on lower wpForo versions. 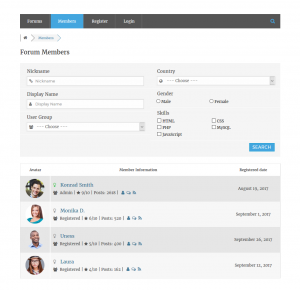 wpForo is a free, powerful, modern and responsive forum plugin. It's available for free download on WordPress.org Extensions directory. 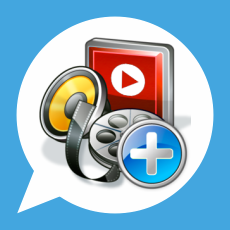 The official wpForo addons are only available here at gVectors.com Premium plugins store. Products subject to yearly license for future updates. Sale Packs for 20% - 50% discounts. This is an advanced user profile builder system designed for creating powerful online community and membership site. It includes form builder tools for Registration form, Account Settings form and for Members Search form. 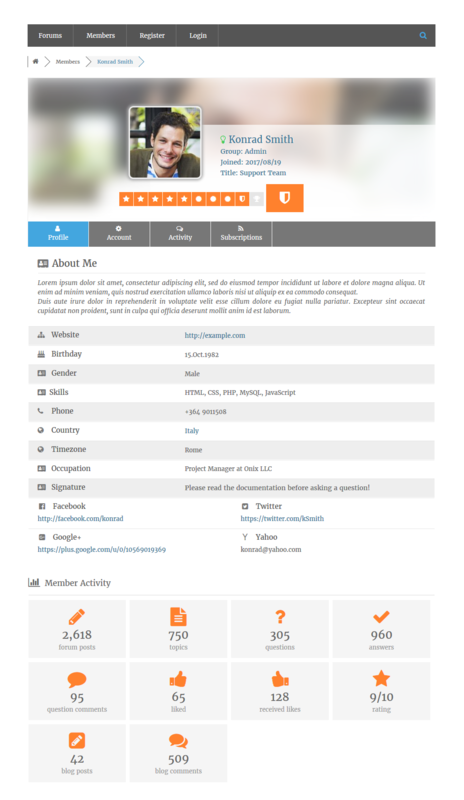 Also you can manage User Profile page fields and layout with a similar tool. 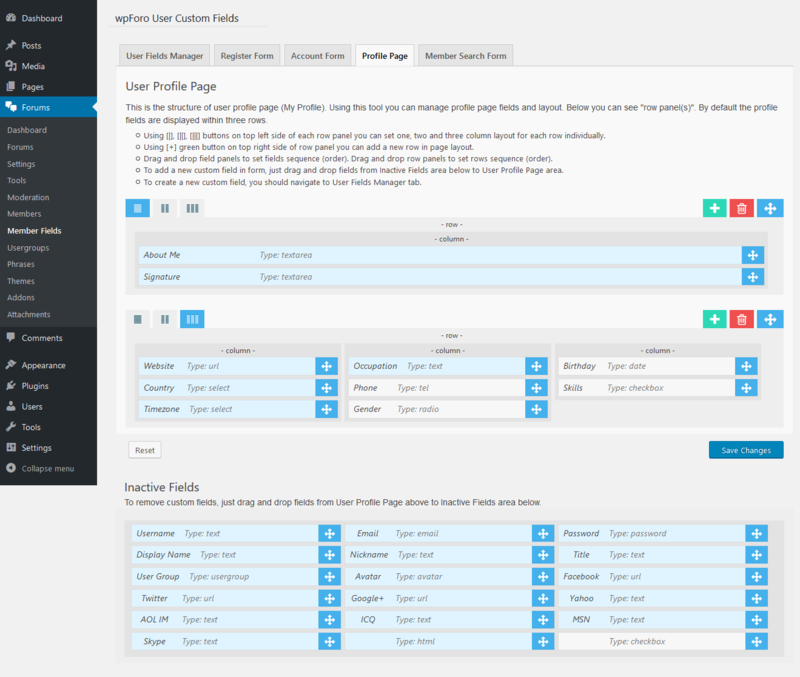 Once addon is installed all available default fields will be listed on addon field settings page. 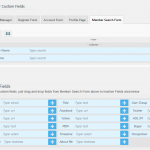 Here you can manage default fields and create new fields. 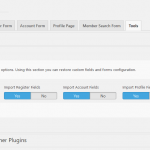 You can find more information in wpForo User Custom Fields Documentation. 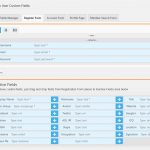 Allows to manage default profile fields and add new custom profile fields. 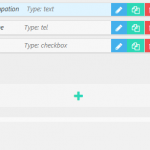 Field types: Text, Email, Phone, Url, Date, Color Picker, Number, Password, Drop Down, Radio, Checkbox, Textarea, File Upload, Avatar, Usergroup, HTML. 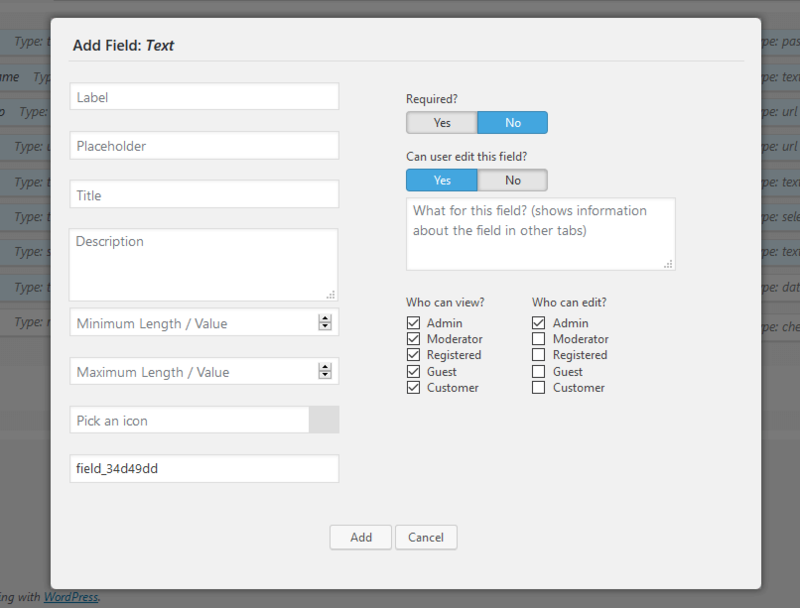 Field options: Label, Placeholder, Title, Description, Max/Min length/value, Icon, Required, Can User Edit, Admin note, Who can view, Who can edit, and many more field specific options. 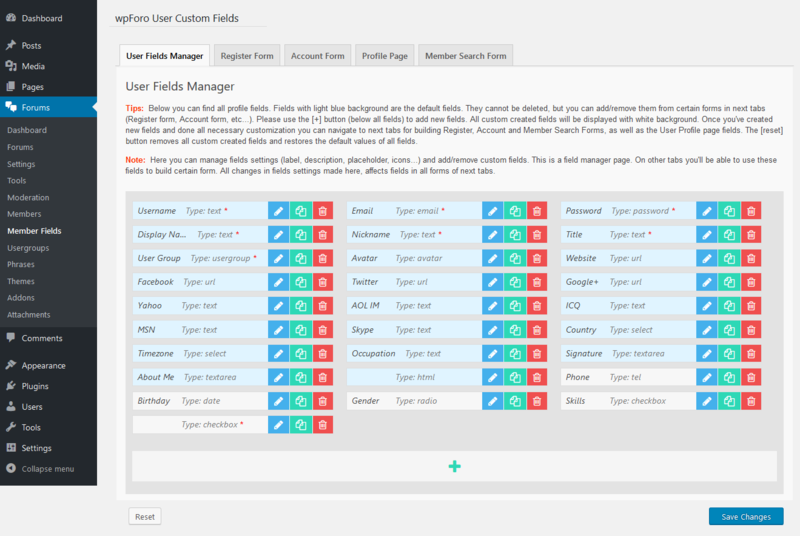 Fields have own Edit and View permission for each Usergroup. 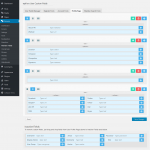 Interactive drag and drop Form Builder tools for each form. 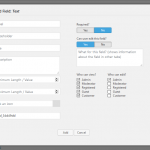 Allows to set form layout (rows, columns) and add fields in certain area of forms. 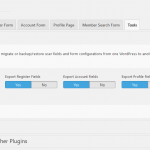 Tool to import users custom fields data from BuddyPress to wpForo (BuddyPress to wpForo Migration tool). Page builder tool in Profile Page tab (documentation). 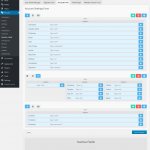 Form builder tool in Register Form tab (documentation). 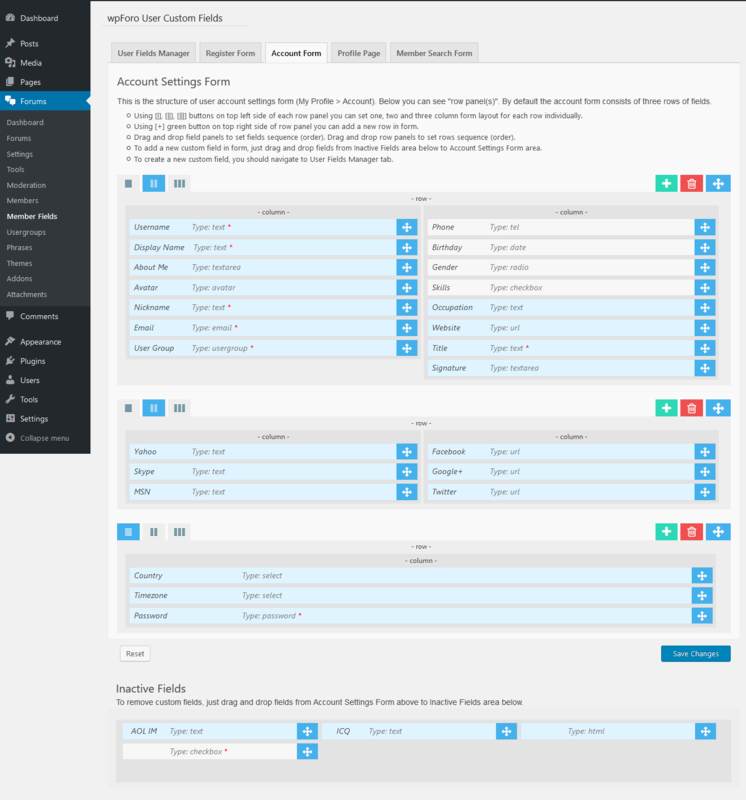 Form builder tool in Account Form tab (documentation). 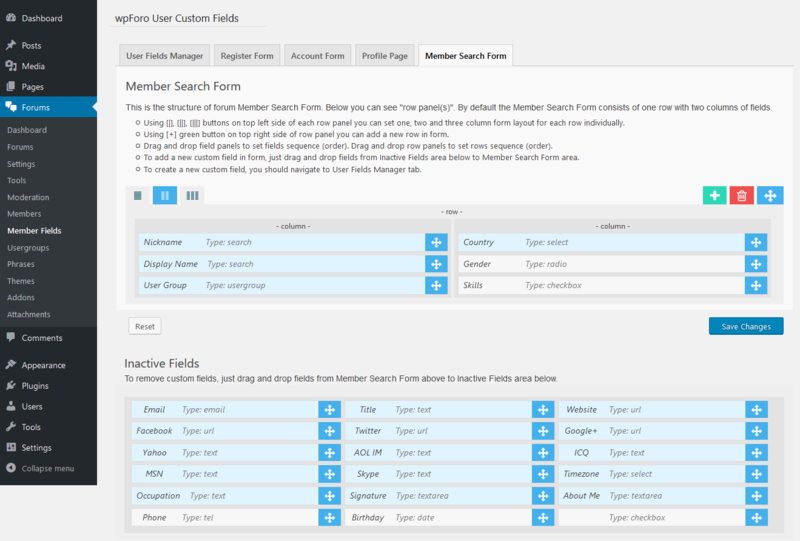 Form builder tool in Member Search Form tab (documentation). 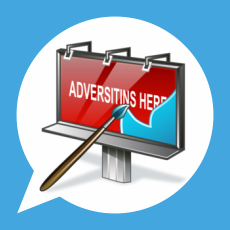 This addon installs like any other plugin for WordPress. 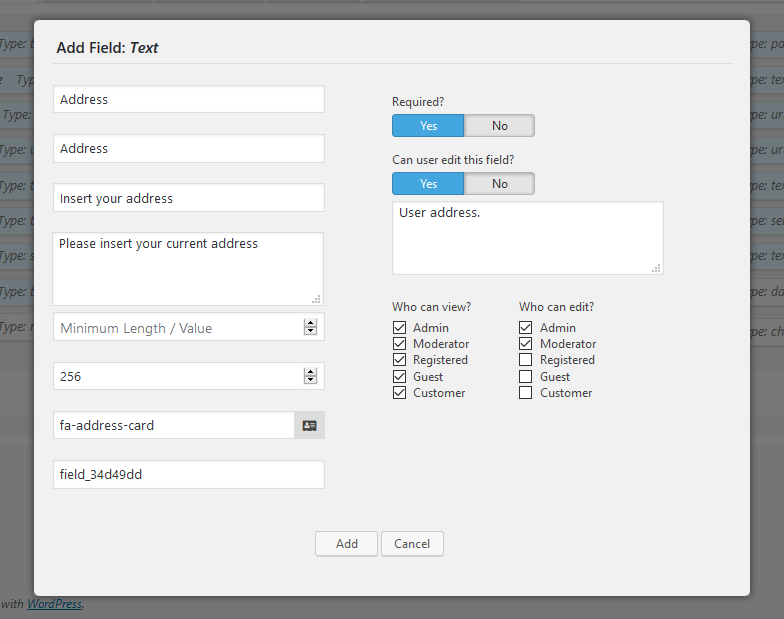 Access to wpForo User Custom Fields addon is provided immediately once you paid for your order. Upon completing registration/checkout, you may log in at gVectors.com. We will also send you an email after registration/checkout, with a link to the login page. Then download the installation package. Navigate to Dashboard > Plugins > Add new and upload addon ZIP file, then activate it. It’ll ask you to activate with license key you got via email or in your account page, just insert the key and activate it. If for some reason you cannot install this plugin using WordPress plugin upload system please do that with this alternative way. 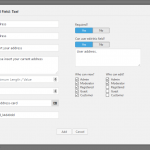 Unzip, and then upload the /wpforo-user-custom-fields/ folder to your /wp-content/plugins/ directory using an FTP application like FileZilla; or any other FTP program is fine also. Make sure you have not double /wpforo-user-custom-fields/wpforo-user-custom-fields/ directories nested inside each other, please correct this before you continue. 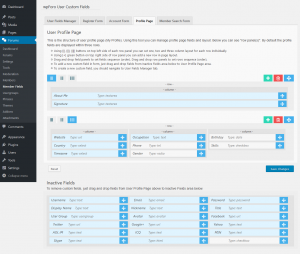 Then in WordPress, go to WordPress Dashboard > Plugins, and then activate the wpForo User Custom Fields addon. 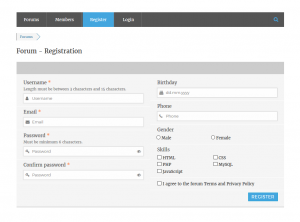 Fixed Bug: Registration form problem. Blank page after registration on some cases. 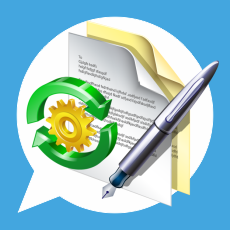 Changed: Option Export/Import with one backup file. Added : Reset button for Timezone and Location fields. 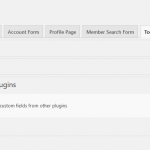 Can this plugin display on the user profile page not only its own fields, but already existing fields created by other plugins (for example: NADI)? I’m really sorry, but this add-on doesn’t have such a feature. 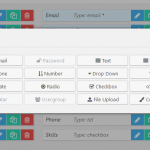 The add-on allows to create the following field types: Text, Email, Phone, Url, Date, Color Picker, Number, Password, Drop Down, Radio, Checkbox, Textarea, File Upload, Avatar, Usergroup, HTML. Does this add-on complement or does it replace the Ultimate Members plugin? I’d like to make sure if this addon has a function of deleting/unregister by users. You said it’s going to have one on forum, but any of description here has mentioned about it. Does it show on member account page? Could you give brief descriptions? This feature will be added in the wpForo plugin core in future versions. 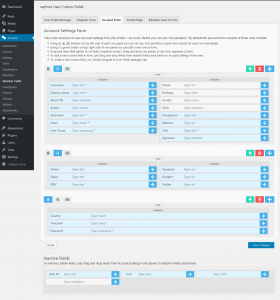 This addon is designed to extend the forum profile system and doesn’t have such a functionality. 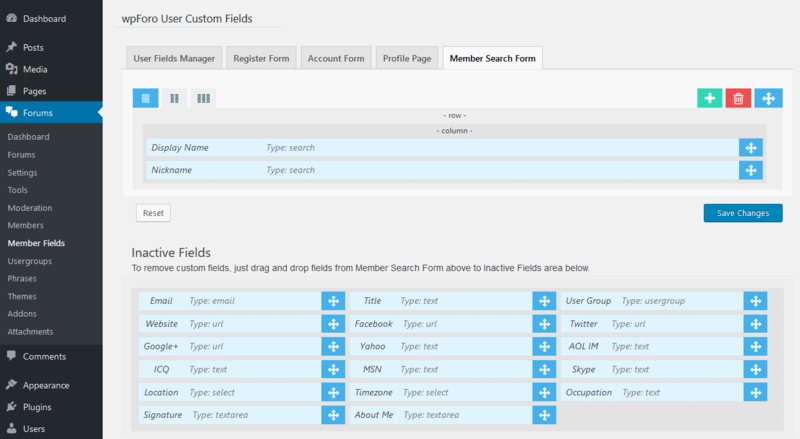 You can create a custom Registration form with custom fields, add custom fields in the User Profile system and in Members Search form. 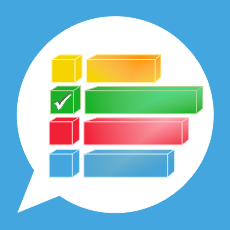 Do you allow admin approval before a new registration is active? Can user profile keys or values be based on user meta data? Can I disable some fields from editing but still display in a user profile? With this paid addon will we be able to remove the current profile fields such as Social Networks individually or as a whole? I am interested in using this as a full replacement for BuddyPress and have already fully replaced bbPress. 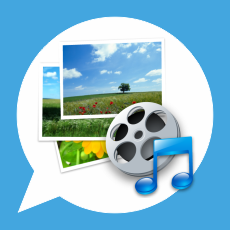 You guys have an outstanding forum plugin!!! 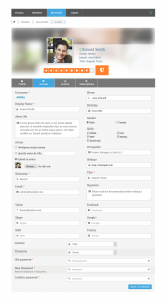 Yes you’ll be able to remove all non required fields, as well as all Social networks fields. Also this addon as built-in BuddyPress importer tool. 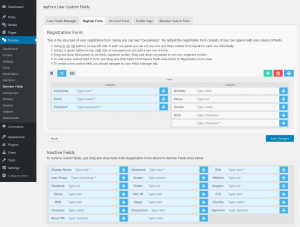 This helps to migrate all buddyPress fields to wpForo user Fields addon. If you set this field as required, visitors will not be able to register, it’ll always ask for checking this field. If I install your plugin is there anyway to import these fields on your user profile fields? In other words to synchronize these existing fields as well? Is there also a way on your plugin front end account settings to remove obsolete social fields like AOL IM and ICQ (we are lo longer in 1997)? Thank you for your interest in wpForo addons. 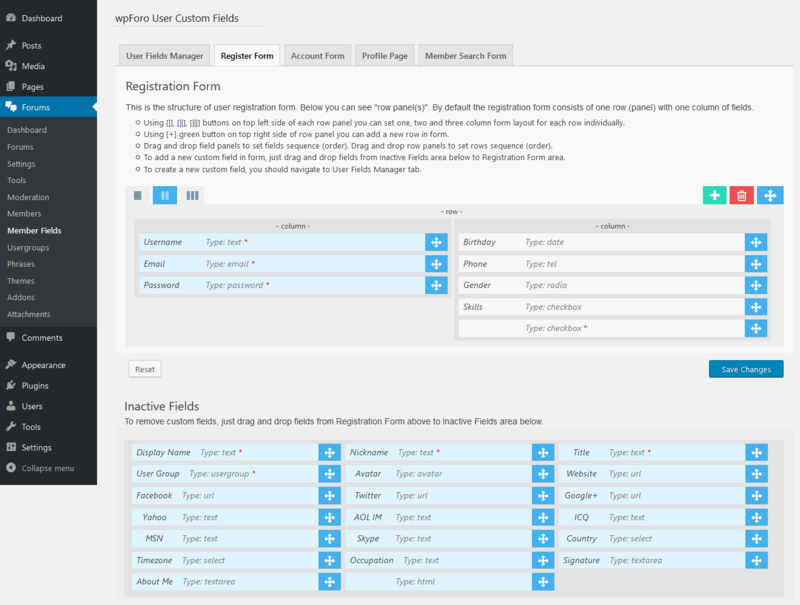 At the moment we’re working on BuddyPress to wpForo User Custom Fields addon data migrator tool. This will be available soon. 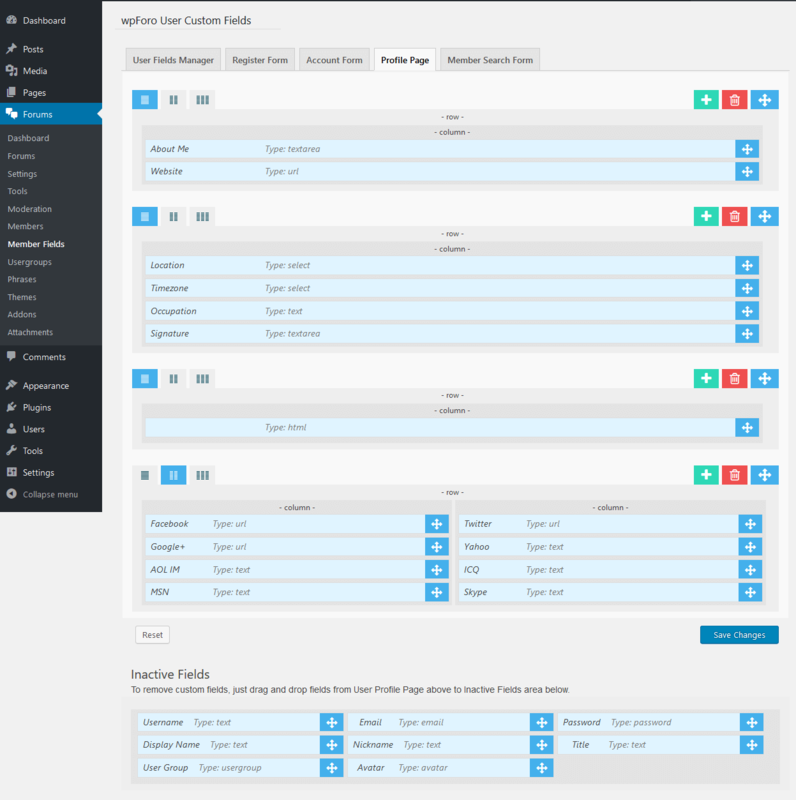 Using this tool all custom field data from BuddyPress will be migrated to wpForo User Profile System. It’s possible to show custom field under avatar in the forum ?? Or it’s just for members page ? I’m sorry but it’s not possible yet. We’ll add this in upcoming versions. it’s under development at the moment. This will be added in addon. wpForo core doesn’t have user custom fields. Can you customize fields to “nofollow” or URL verification (url for facebook field must start with https://facebook.com/)? There is no such option yet. We’ll take this under consideration for future releases. Thanks for offering this. 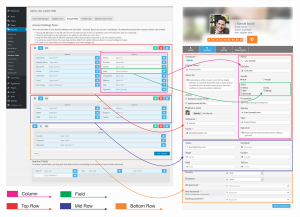 Will users be able to edit their custom fields on the front end? Sure, this is a front-end Profile extending addon. As you can see in screenshots All fields can be managed by users in My Profile > Account front-end page. 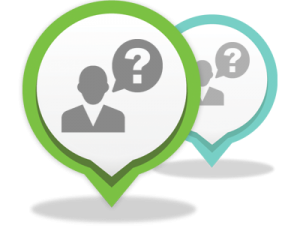 this is the right place where you can ask all per-sale questions you have, before purchasing this plugin. We’ll be in touch and reply within 1-2 hours for GMT +1 to +12 and within 4-6 hours for GMT -1 to -12. Our customer support representatives are available 7 days a week from 6am to 10pm (GMT 0:00, London) ; excluding all major holidays. If you have pre-sale or other questions, please ask it in our Support Forum or contact us here. Support for Products by gVectors is available through your account at gVectors.com, which grants you access to the support forum where you can ask us technical questions. 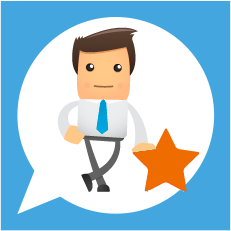 Our customer support representatives are available 7 days a week from 6am to 10pm (GMT 0:00, London) ; excluding all major holidays. gVectors.com takes great pride in offering a safe and secure online shopping experience. 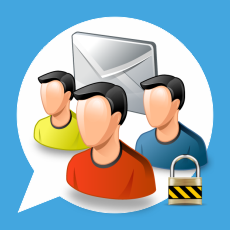 We understand that the safety of your personal information is extremely important to you. Your purchase will be processed by 2Checkout (PayPal, Visa, MasterCard, American Express, etc..). Pay within 2Checkout's secure PCI compliant payment system. When the order is completed successfully, we will send the customer an order confirmation. gVectors.com uses Secure Sockets Layer (SSL) technology to provide you with the safest, most secure shopping experience possible. SSL technology enables encryption (scrambling) of sensitive information, including passwords and credit card numbers, during your online transactions. All of the forms on our site are secured with SSL technology so your personal information stays safe and out of malicious hands.